The Cornish Riviera is obviously one of those names that was dreamt up by somebody in the marketing section of the tourist office, but it does seem to fit the bill somehow. The area is just a figment of the imagination and there can be no hard and fast rules as to what the area covers, but in my mind it covers the south coast of the county roughly between Fowey and the Helford River. 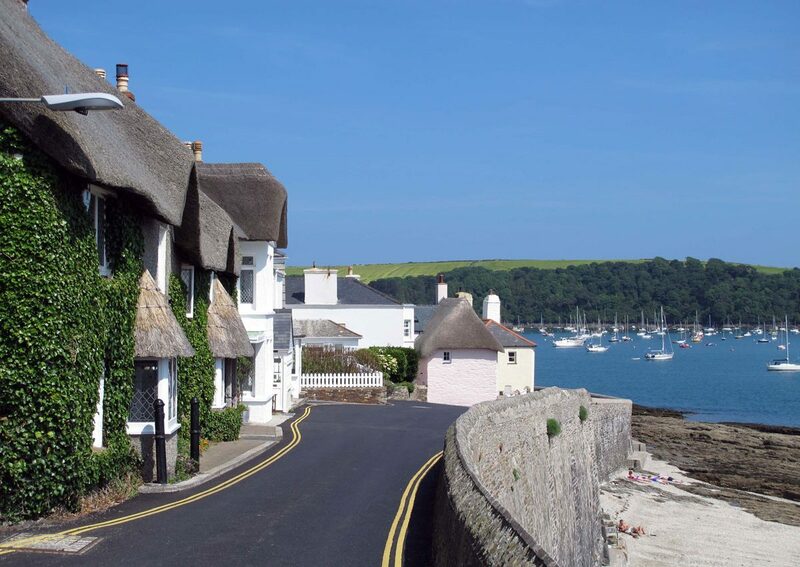 Most of this part of the coastline is included in the Cornwall Area of Outstanding Natural Beauty (AONB), with the exception of St Austell and Falmouth. To make sense of it all though I haven’t just included St Austell and Falmouth, but Truro as well. It’s understandable why this part of Cornwall falls under the AONB. Most of the county’s rivers flow into the sea here and provide shelter for boats in small fishing harbours, as well as sub-tropical gardens that exploit the warm climate that the gulf stream brings. This is the gentle side of Cornwall’s coastline which attracts people who enjoy the river valleys, small coves, and picturesque villages.